Creative Conversations were originally designed by Americans for the Arts to engage young arts leaders across the country in local dialogues about artistic and cultural issues during October’s National Arts and Humanities month. 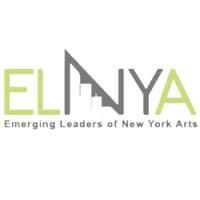 ELNYA hosted its first Creative Conversations in October 2007. Those events were so successful that we were inspired to continue the dialogue year-round and build a community around them. A year and a half later, ELNYA Creative Conversations have evolved, but they are still our foundation. We have employed a variety of models for Creative Conversations, such as peer-to-peer exchanges, round-robins, fishbowls and panels, while addressing topics such as “Effective Collaborations between Organizations,” “Navigating Careers in the Arts,” “The Dearth of Directors” and “Is the 501 (c)(3) Dead?” Because the topics and structures are completely coordinated by young arts leaders, Creative Conversations embody ELNYA’s core values of peer-based learning and hands-on leadership skill building.